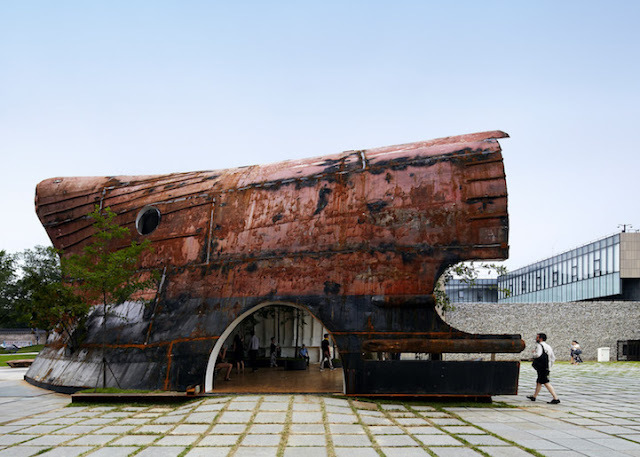 The hull of an old, abandoned ship was freshly given a new life as a spectacular pavilion for the National Museum of Modern and Contemporary Art, in Korea. 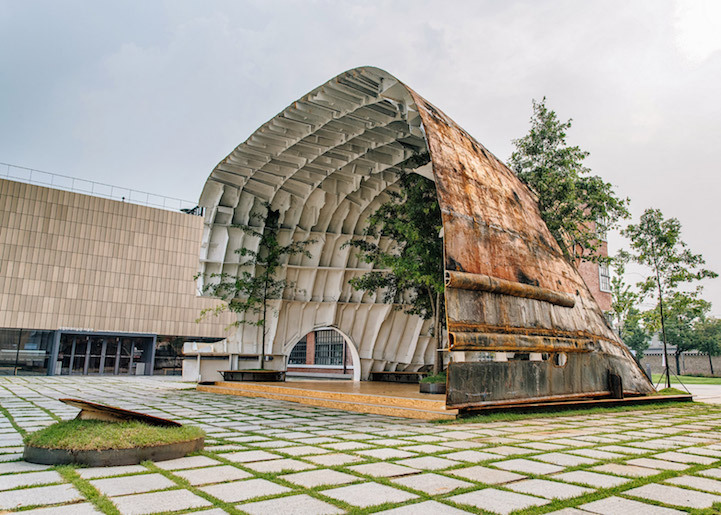 The abandoned ship is located in Seoul, the Temp’L features the rusted steel vessel magnificently turned upside down and uses its hollowed insides as the setting for lively greenery and soothing seating space. 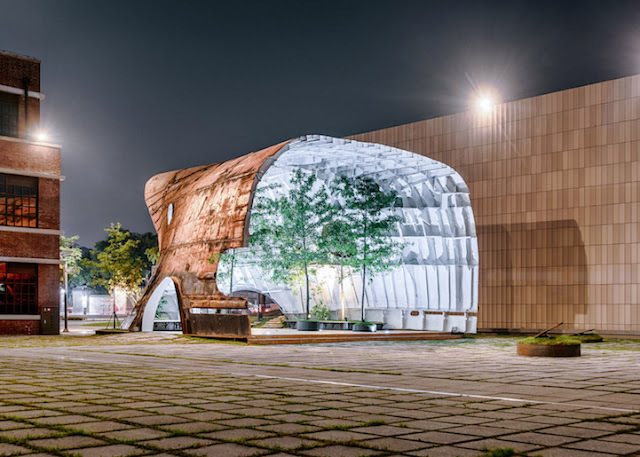 The “Shinslab” Architecture was the creative brains behind the converted into this structure. 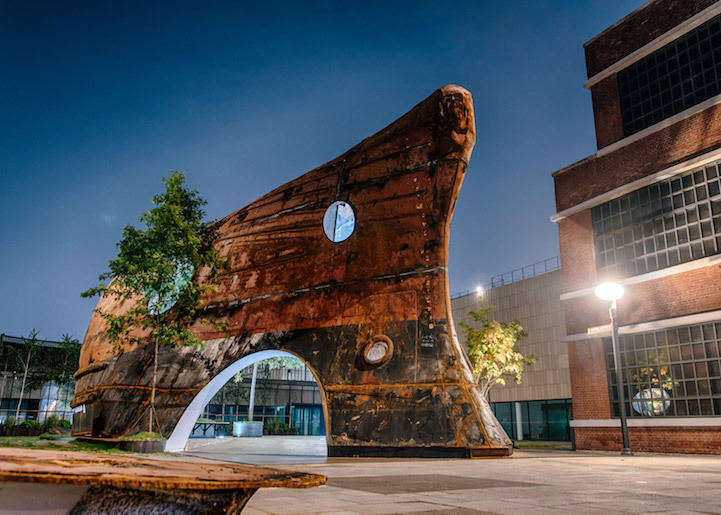 Therefore, to transform the hull, they put their efforts first sawed it from the corroded ship and selected to let its raw, reddish exterior remain. Thus, the interior saw the most radical changes, including a fresh coat of white paint, a spiral staircase, a balcony and trees tall enough to meet the ceiling. 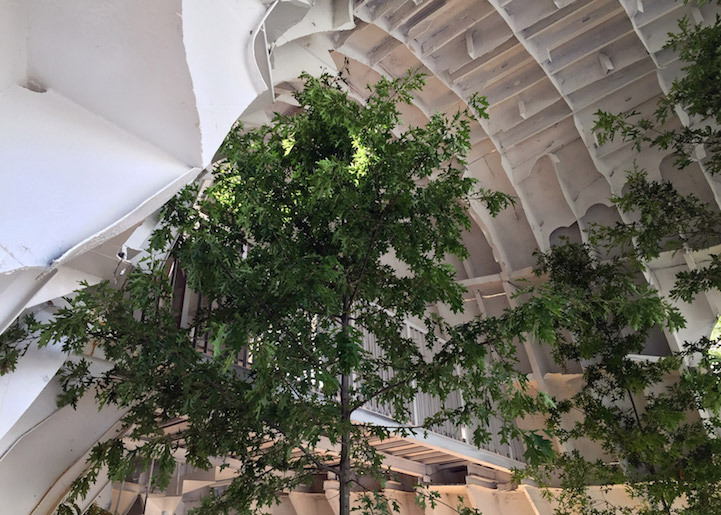 The results of the restoration are a visually spectacular collision of rustic and contemporary aesthetics. 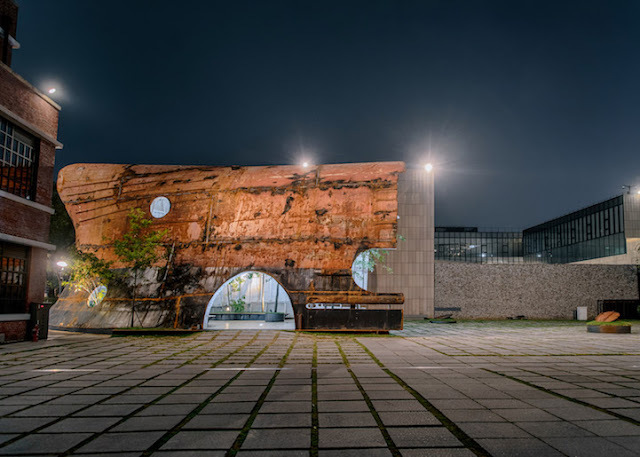 However, “Shinslab” is hoping that it will inspire peoples to reflect on the act of recycling specially, how it can be perfectly used in architecture. 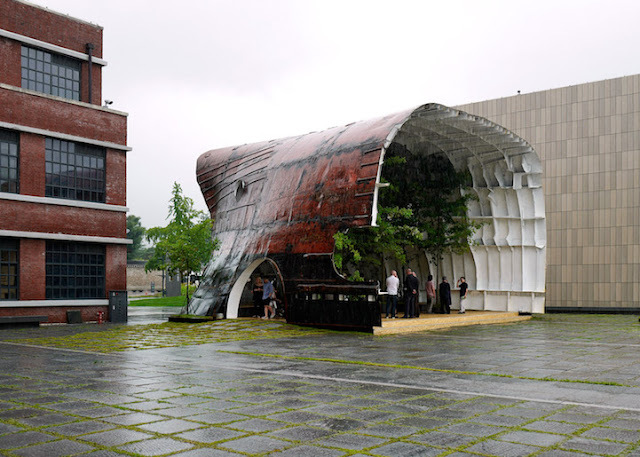 Moreover any great cultural leftovers can lose their function. Further, in the same way, a material can also lose its original value as time passes. But the real fact that the destiny of cultural vestiges is to be dismantled should make us reflect upon what we need to left for future generations. Norway is famous for having some of the most scenic routes in the world. From lightning-speed rails to self-driving cars, transportation technology has become more and more futuristic over the past decades. 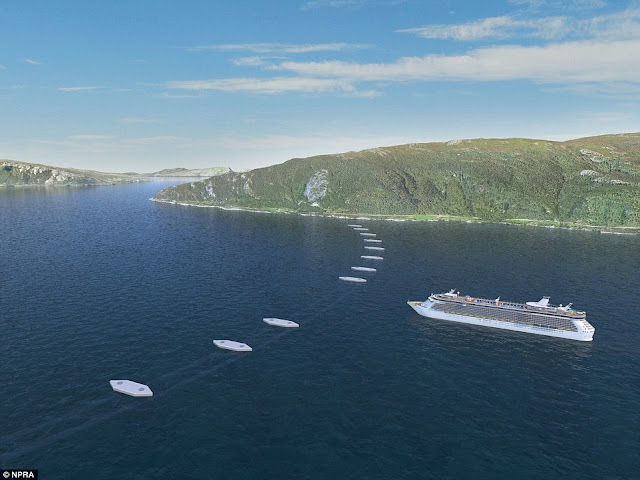 Norway is such a small country is positively leading with modernization with its plans to spend a huge $25 billion on a “submerged floating bridge” that will be the first of its kind in the world, and can cut hectic travel times from 21 hours down to less than 11 hours. 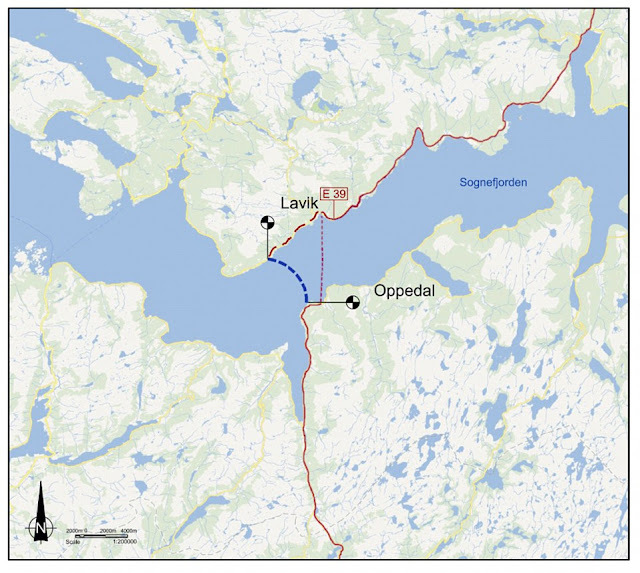 A feasibility study conducted in 2012 by the Norwegian Public Roads Administration (NPRA) publicized that the floating tunnel could be the best way to bridge the fjord. 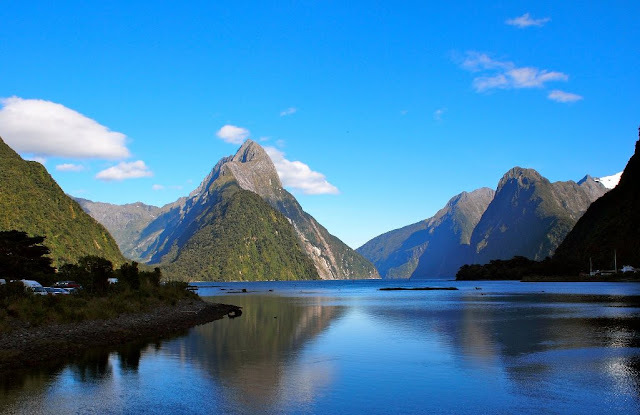 Moreover, Norway has around 1,190 fjords, and their values leaves vast and lovely environments, they present major logistical challenges for traveling residents and visitors alike. People are currently forced to take ferries, which are tiresome and slow, or even drive hours out of the way to cross the fjords. 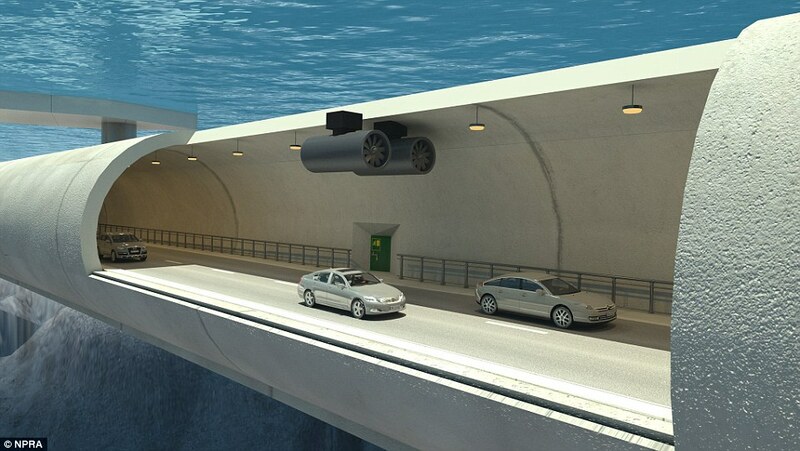 The gigantic underwater tunnel could exactly save an entire day of travel. The massive tunnel is being proposed as part of an enormous infrastructure upgrade to highway E39 in Norway, which runs from Kristiansand in the south to Trondheim in the north. The lavish proposed tunnel would be made up of large tubes suspended less than 100 feet of water and each one will be ample wide for two lanes of traffic. Therefore, being underwater protects the tunnel from harsh Norwegian weather, and ships and ferries would still be able to pass above. 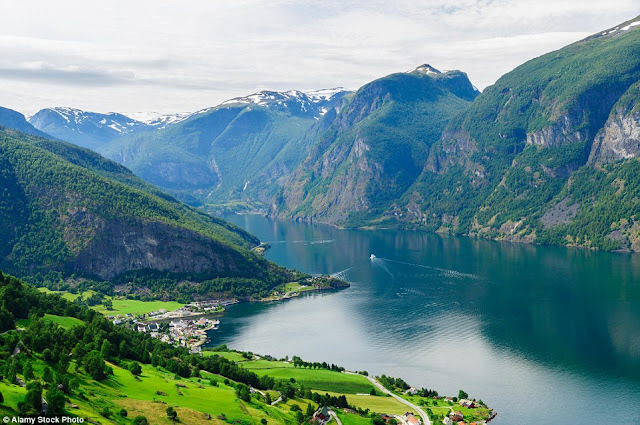 The 684 miles long route cuts across 7 fjords including “Sognefjord”, the largest and best known fjord in Norway and the 2nd longest in the world. “Sognefjord “is over 4,000 feet deep and 3,000 feet wide. The project also happens to preserve the landscape for those who still want to take the scenic route. Though there are still numerous unidentified factors about the construction, maintenance and execution of the bridge, there is one important thing the government is not worried about. Norwegians are quite used to going underwater in tunnels, the project manager overseeing the revamping of the E39 route. 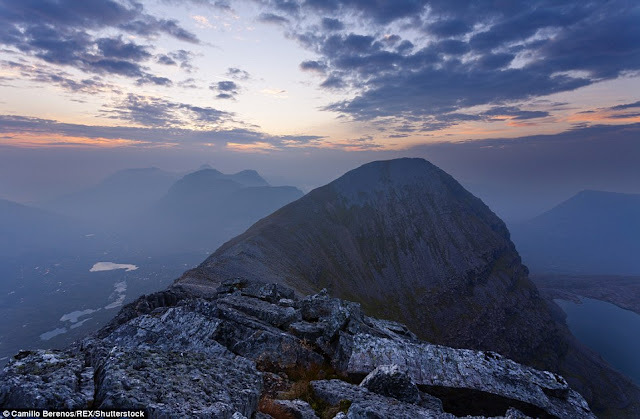 Moreover presently Norway already has 1,150 tunnels, 35 of which go under water. 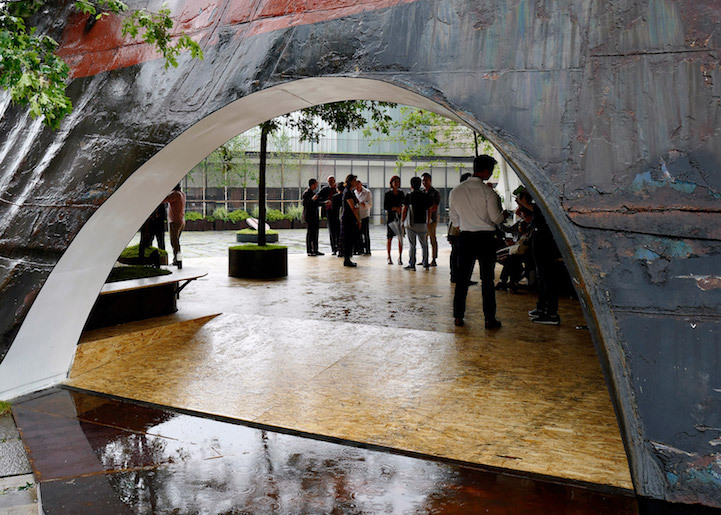 The gigantic tunnel is expected to complete in by 2035, and if the project proves to be too problematic or expensive, other transportation proposals including a floating bridge or a suspension bridge may be considered. Monument Rocks are also called Chalk Pyramids actually a series of large chalk formation in Gove County, Kansas. In 2008, Monument Rocks & Castle Rock was jointly named as one of 8 wonders of Kansas. 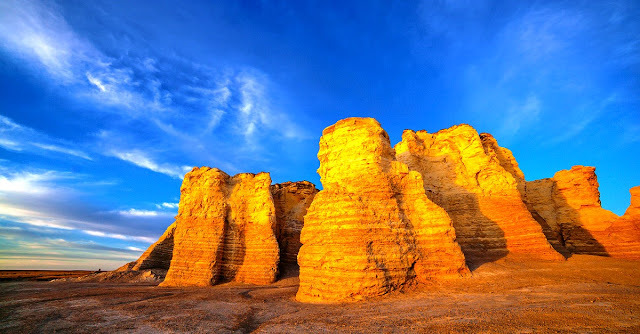 It is National Natural Landmark, rich in fossils. 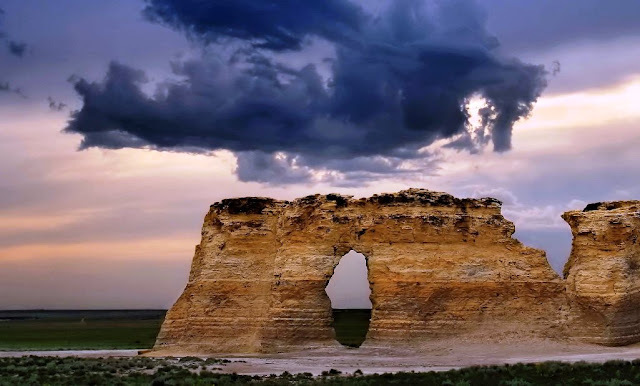 The chalk formation height is up to 70 feet and it was first landmark chosen by the US Department of the Interior as a national natural landmark. 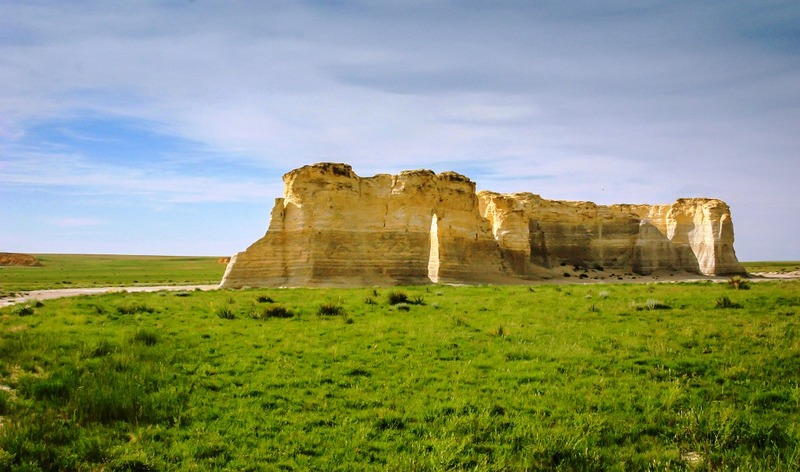 Moreover, it also includes formations such as buttes and arches. The archeologist believes the estimated age is 80 million. 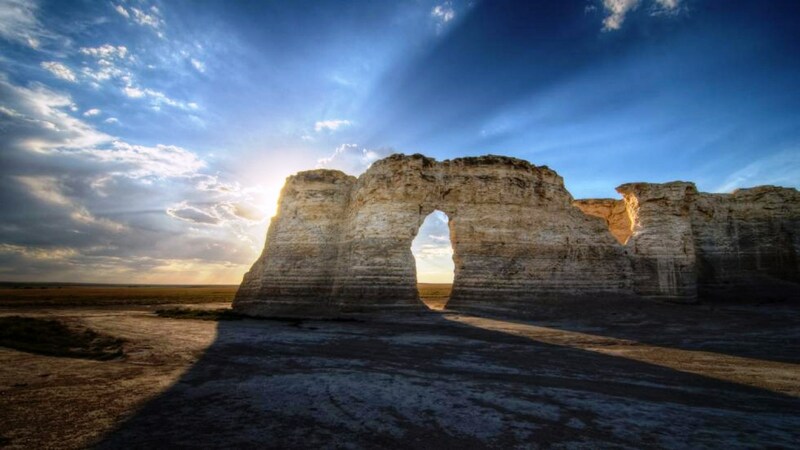 The area is scientifically significant fossils these ancient chalk beds have formed highly eroded into unusual spires and shapes, making them spectacular landmarks on the plains of western Kansas! 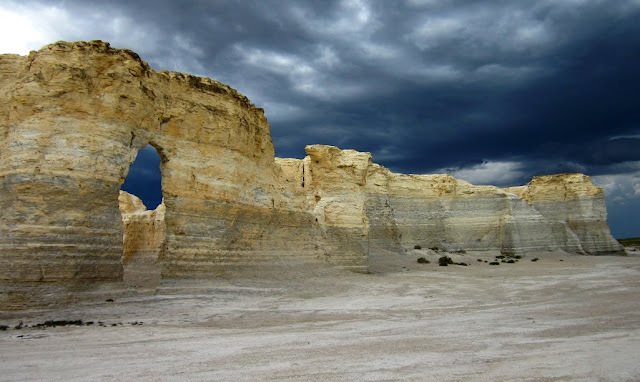 That over the eons have been eroded by the once much larger Smoky Hill River, wind and rain. These days, it is hard to believe that this flat, arid, cactus and buffalo grass prairie was totally covered by water, yet these awe-inspiring rock outcroppings tell a different story. The arches and buttes of Monument Rocks are spread out more than ten acres. The Cheyenne, Arapaho, Kiowa, Sioux, and Apache Indians utilized this area as hunting grounds when the buffalo and other game were plentiful here. 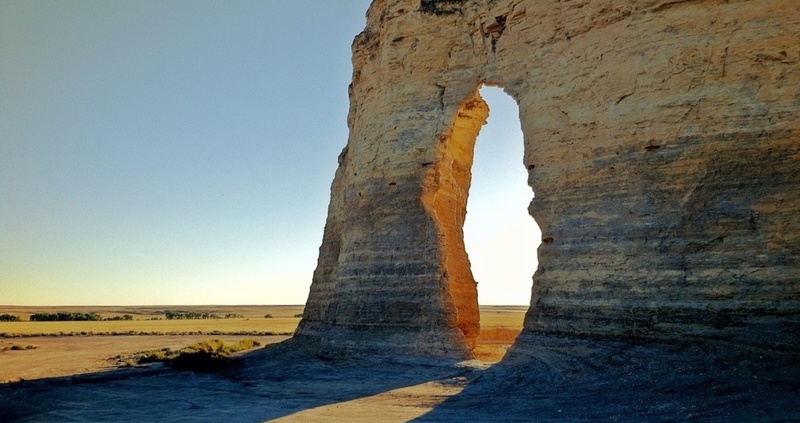 The rising monoliths were also a spiritual site for the Native Americans. 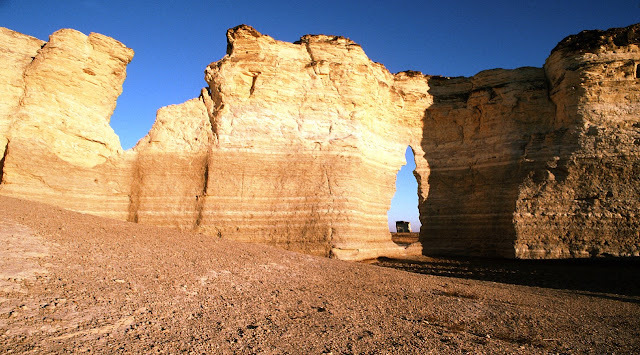 The carbonate deposits were laid down during the Cretaceous Period in what was the Western Interior Seaway, which were split the continent of North America into two landmasses. 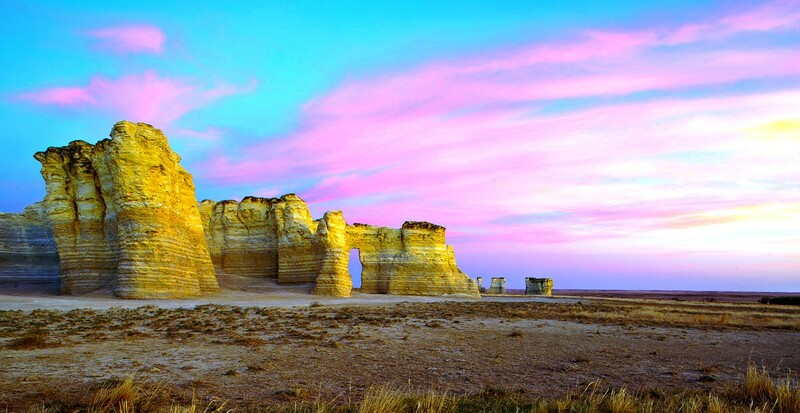 Monument Rocks, & Castle Rock, and others sandstone bluffs collectively known as the "Badlands of Kansas." 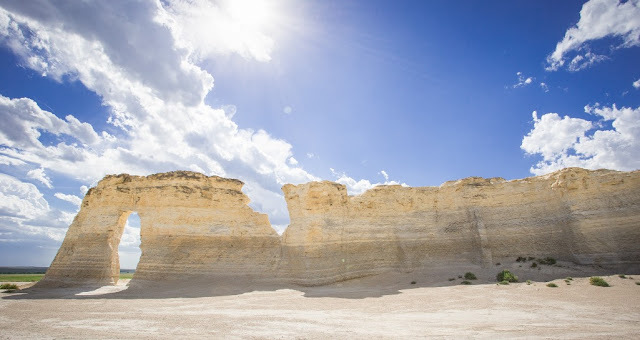 Furthermore, the area is also known as the source of some of the best Cretaceous marine fossils that have been found anywhere in the world. 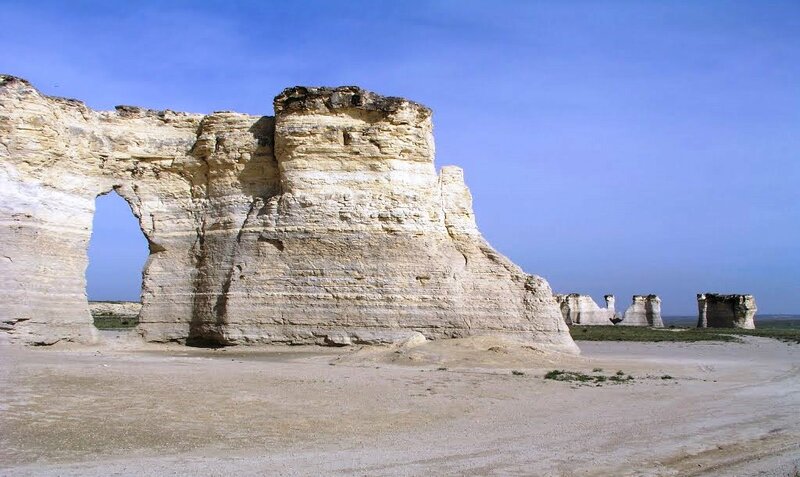 Therefore, underneath these bluffs and outcroppings lie thousands of feet of marine sediments that have provided paleontologists with a wealth of fossils and the leftovers of extinct animals, i.e. fish bones, oyster shells, turtles, swimming reptiles, coral dinosaurs, birds and sharks teeth. 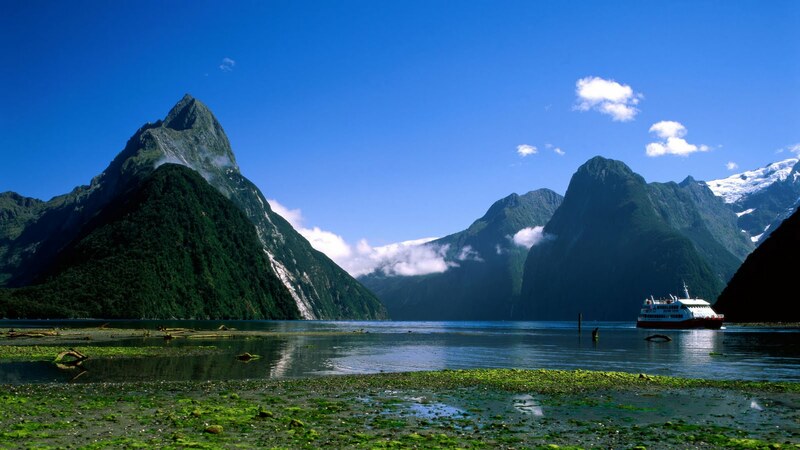 The local peoples say, after heavy rain, the region still smells like an ocean bay. Further, numerous wildlife continue to dwell in the region, including eagles, falcons, and other birds, wild deer, pronghorn antelope, jackrabbits, coyotes, and careful rattlesnakes. 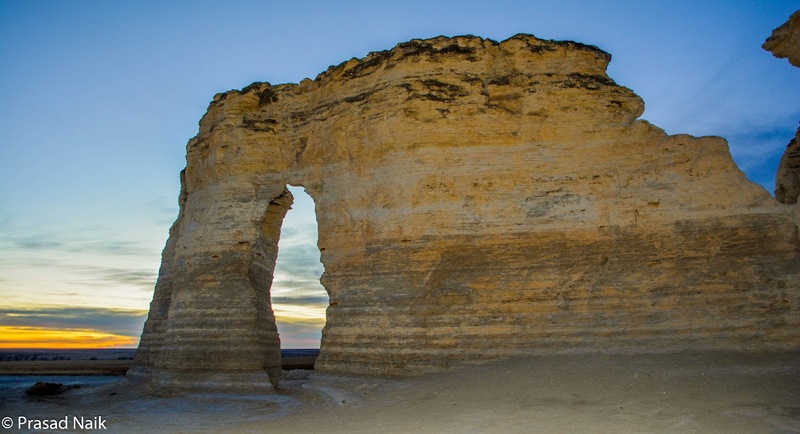 These natural structures attract thousands of visitors every year. At a distance they maintain a stately elegance as they tower above the plains over 100 feet into the air. 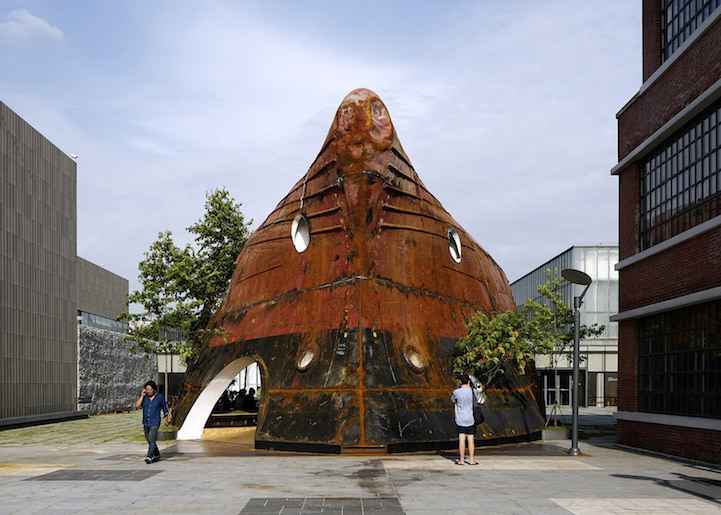 Thus silent is still there, they bear a testimony to the ancient past of the inland sea that once covered them in water. There are number of things, which are not allowed like - no climbing, fossil hunting, camping, littering or bonfires. Do not honk at cattle, just take only pictures and leave only footprints. In New Zealand, one of most photographed mountain is Mitre Peak, located close to the shore of Milford Sound, in the Fiordland National Park in the southwestern South Island. 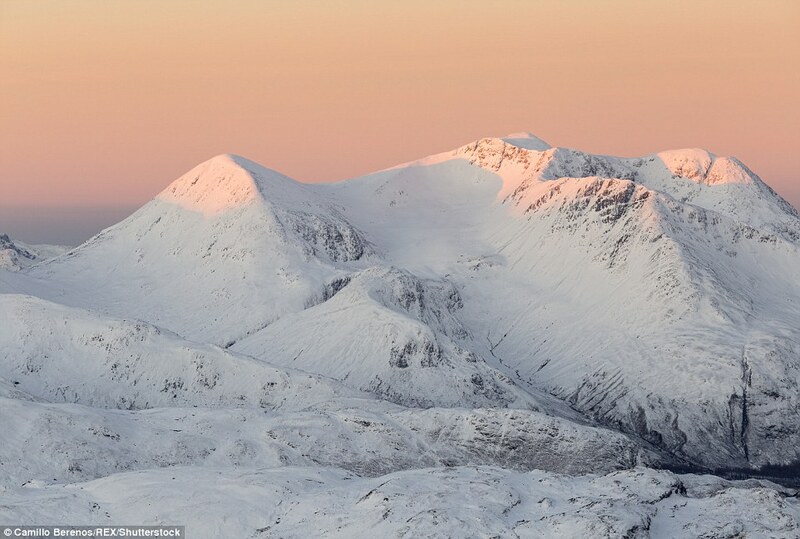 The iconic mountain has distinctive shape gives the mountain its name after the Mitre headwear of Christian bishops. 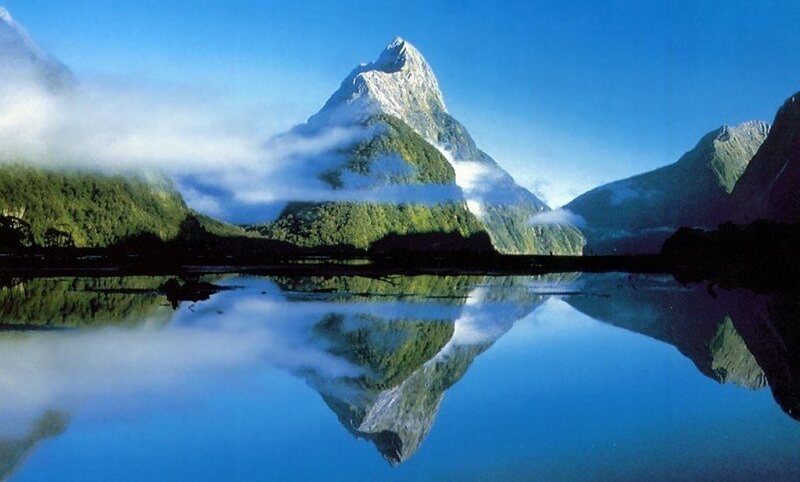 The Mitre Peak or Māori Rahotu is named by Captain John Lort Stokes of HMS Acheron. 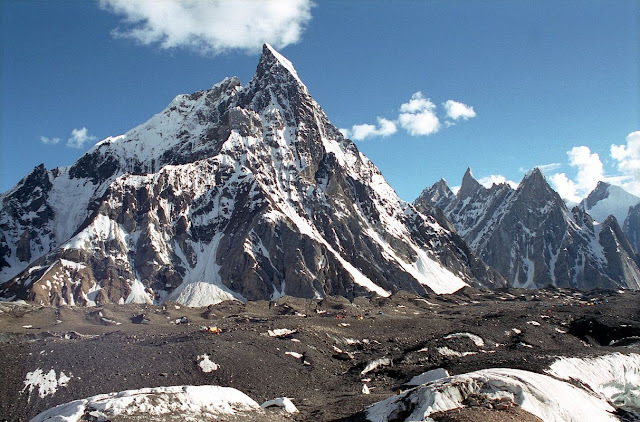 The Mitre location is most distinctive reason of its iconic status, rises vertically to 5,560 feet. You can technically call him a fjord. 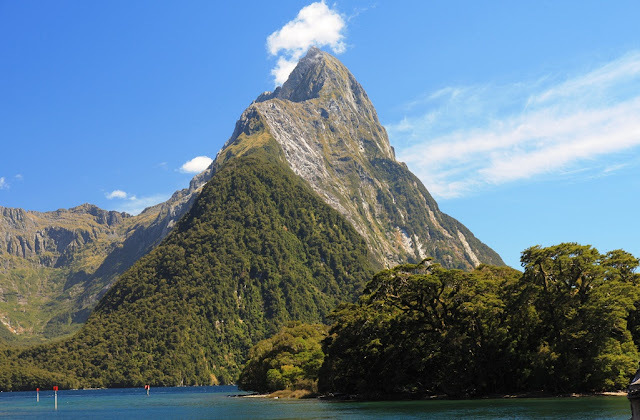 Moreover, the Mitre Peak is in fact a closely grouped set of five peaks, however from most easily accessible viewpoints it appears as a single point. 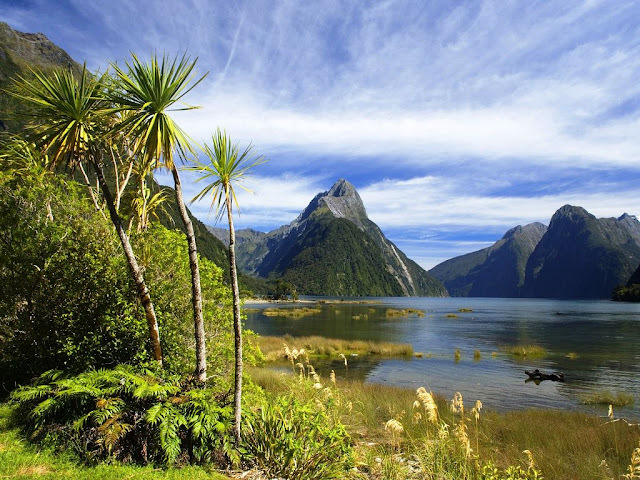 Thus, Milford Sound is part of Te Wahipounamu, a World Heritage Site as declared by UNESCO. 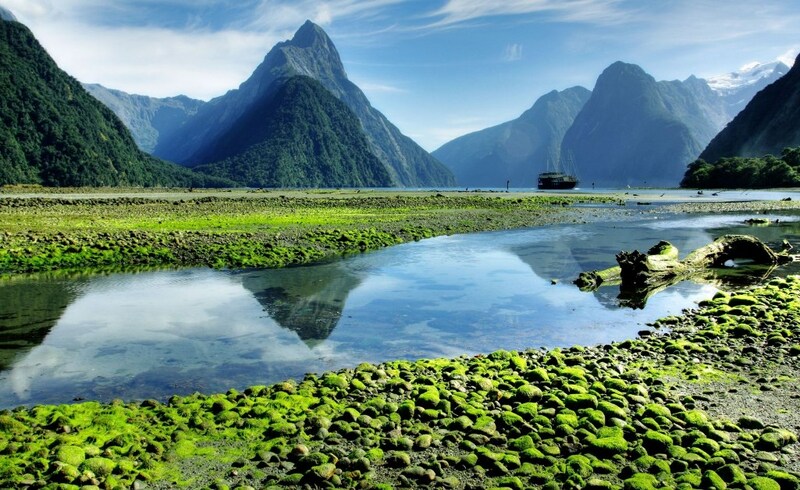 The State Highway 94 is most scenic roads in New Zealand leads to Milford Sound. 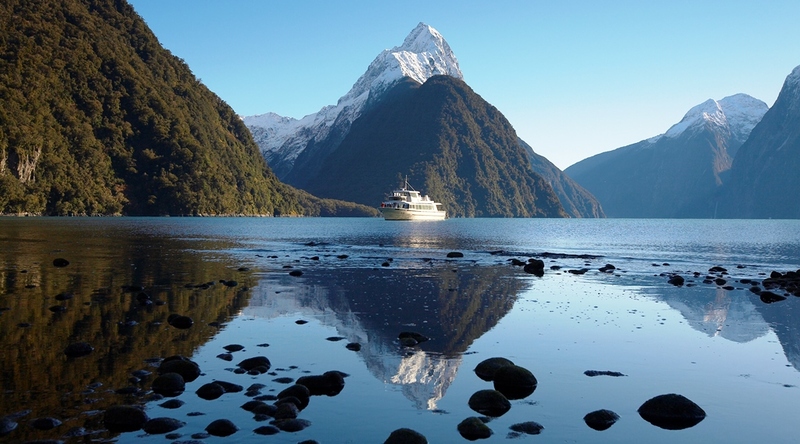 Every year, so many people make efforts to climb the Mitre Peak, which is not an easy job to do so. 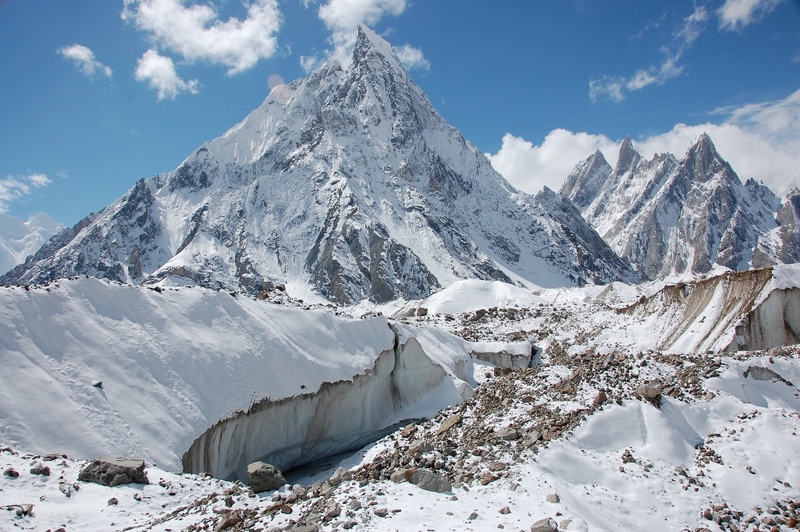 However, the first attempt was made in 1883 but could not successes due to bad weather. 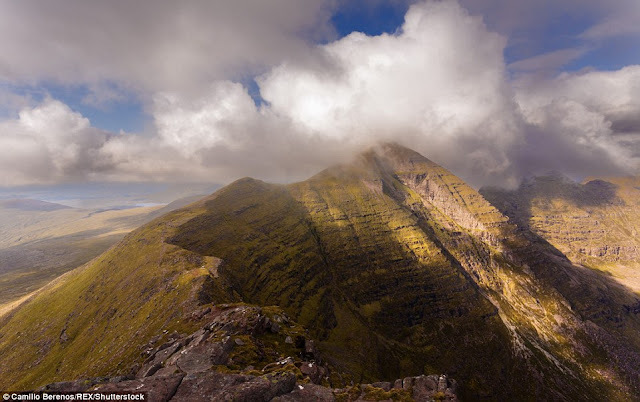 Therefore, in 1911 J R Dennistoun made next attempt to climb it, but eventually created lots of buzz among people, who claimed to have built a cairn on the peak to which he had fixed his handkerchief. Thus, the facts were confirmed later by successful climbers in 1914. There are six routes up to Mitre Peak, and most climbers start by getting a boat to Sinbad Bay. The track through the thick Fiordland bush is unmarked, the route above the bushline is hugely exposed and it’s a demanding mission regardless of how you tackle it. 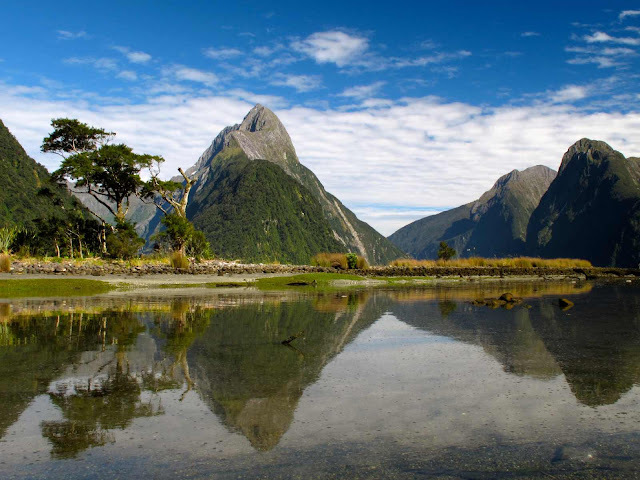 The Mitre Peak is a country of jaw-dropping Mountain, make it very special by tens of thousands of visitors arrive in Milford Sound each year. Milford Sound gets an astonishing 7 metres of rainfall each year. 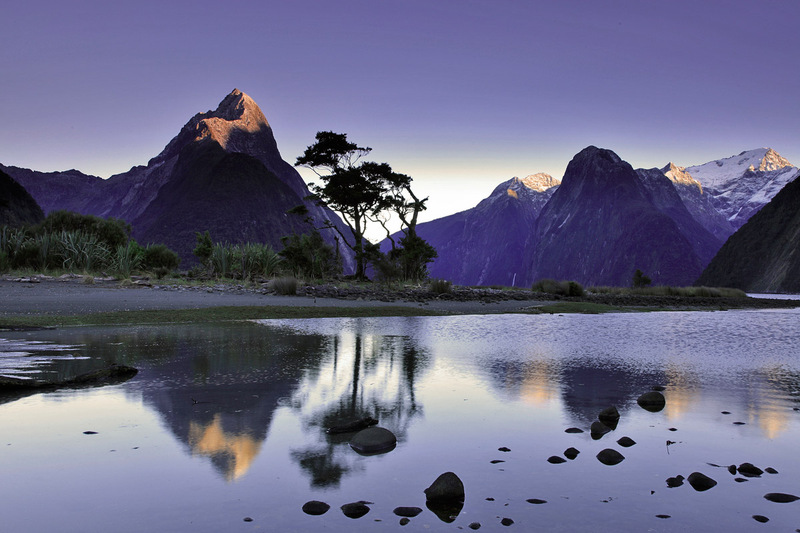 The Mitre Peak is a hugely demanding climb and one that should not be taken lightly. 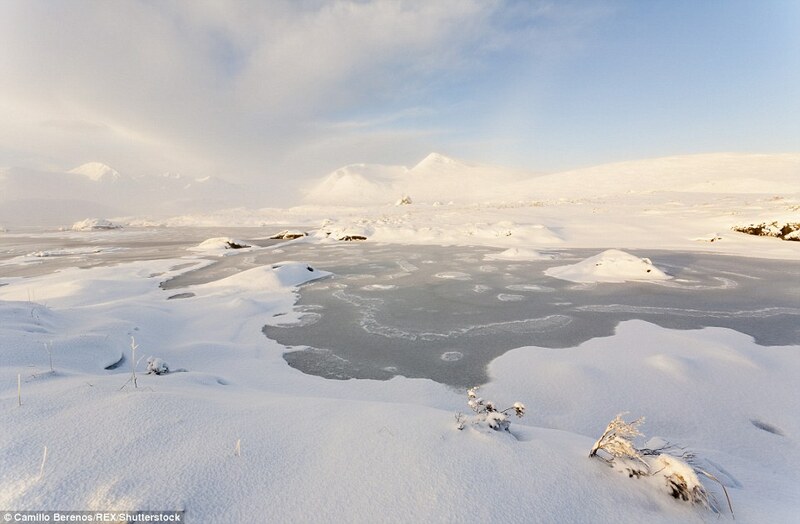 Well, Forget the Alps! A Scottish photographer captures splendid snow-capped mountains and serene lochs of the Scottish Highlands from valley to peak. 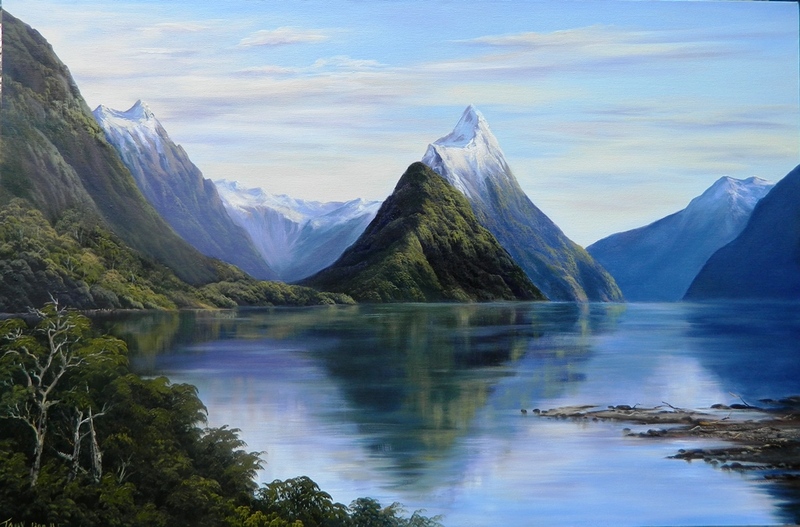 The Camillo Berenosh has spent many years in travelling, capture breath-taking untamed beauty of native country. 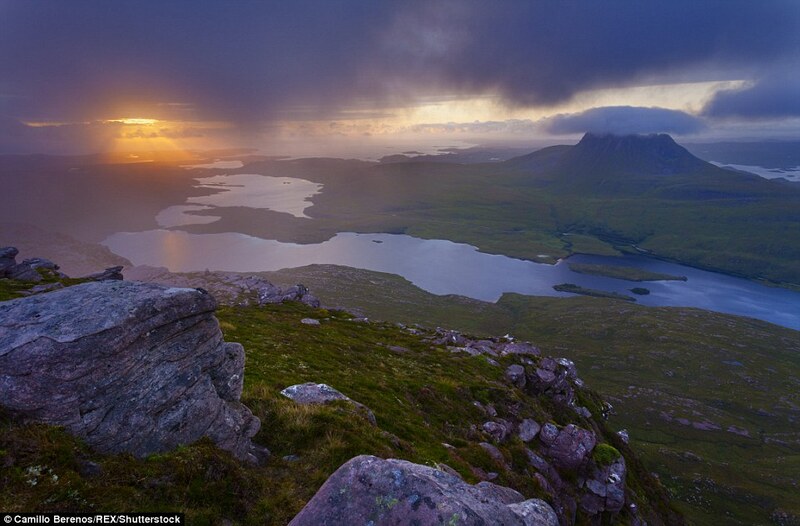 The remarkable Scottish landscape is the passion of his new journey. When you see his series of pictures, you’d definitely forget your tension a while, incredible snow-topped peaks, deep green valleys and unharmed forests. The Edinburgh based photographer is exploring Scotland from high to low capturing incredible landscape along the way. 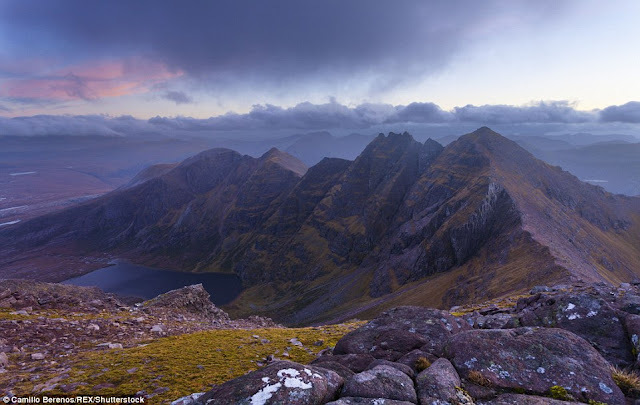 Therefore, heading deep into nature Camillo presents the raw natural beauty of the Rocky Mountains and tranquil lochs through the seasons from icy and snow-capped to blooming with flowers. 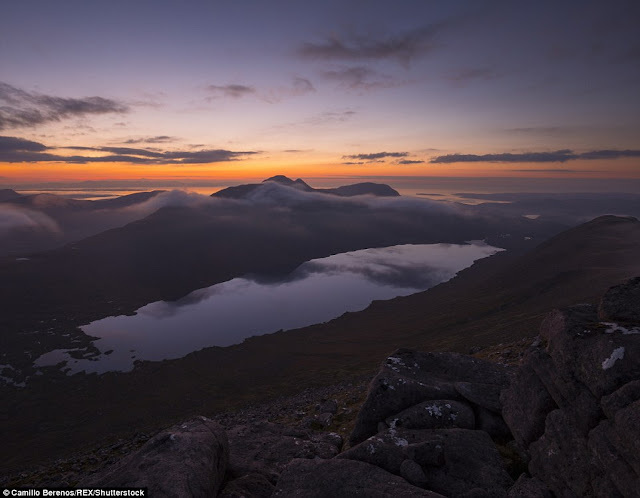 He said; I often camped on summits, despite of harsh weather conditions, I didn’t afraid to wait for right time and condition to capture the photographs. I have bit a slower approach in terms of time to take perfect click, also enable me to a stronger connection with the landscape and flora and fauna of remote upland areas. 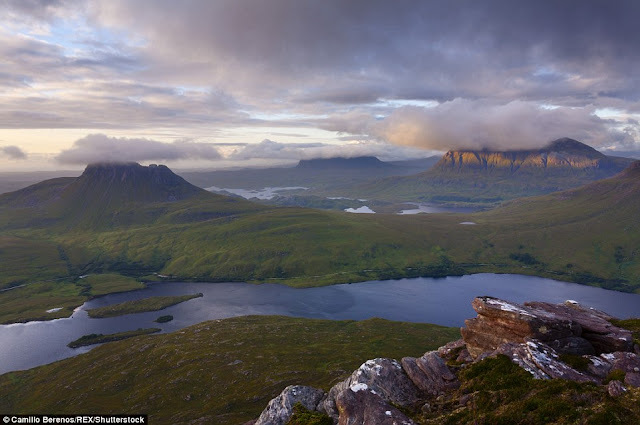 I wanted to protect Scottish nature by doing this project, showing a greater appreciation of unrivalled grandeur of the hills, landscapes, forest and many anthropological threats they are facing these days. 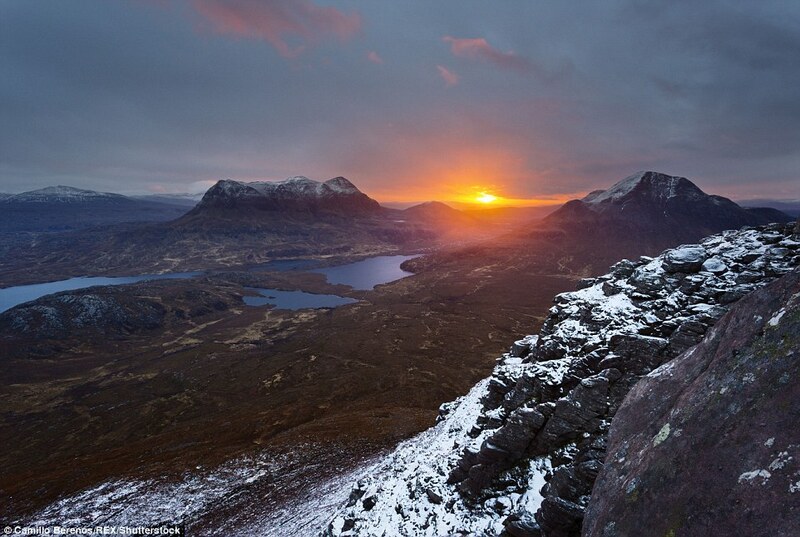 I also want to motivate other photographer to come Scotland to explore untouched places. I am sure, they’d be spellbound by diverse and staggeringly beautiful landscapes in the remoter parts of this country. 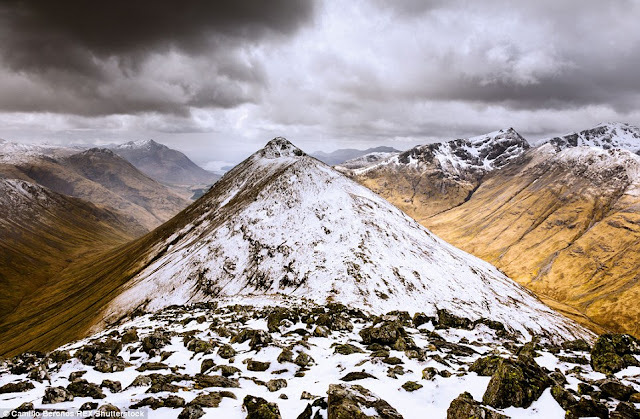 I’ve spent several hours in the hills, with precise destinations often primarily being determined by where the weather forecast looked most favorable.